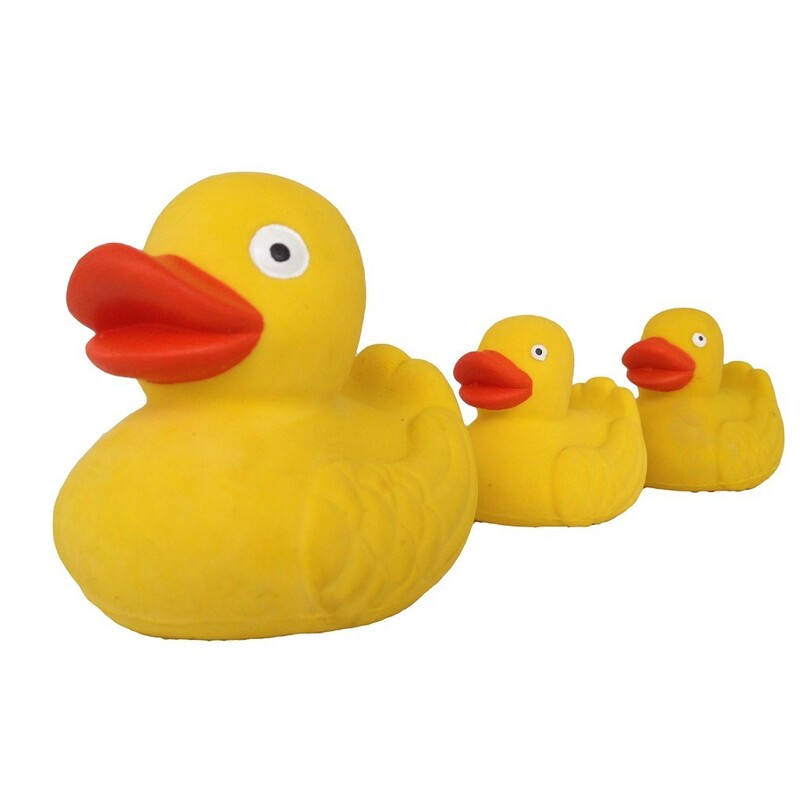 A trio of three rubber duck toys, big mummy or daddy duck and two baby ducks. Loads of ducky family fun. The real rubber ducks are rubber ducks that are actually made of rubber! 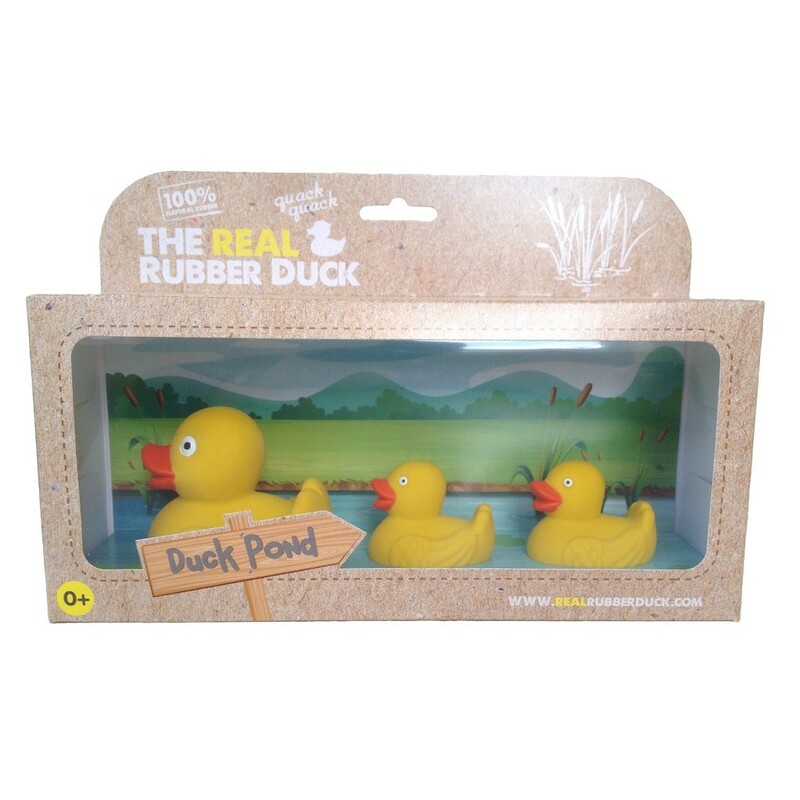 Brilliantly simple the rubber duck is an all time classic that children just love to play with at bathtime. 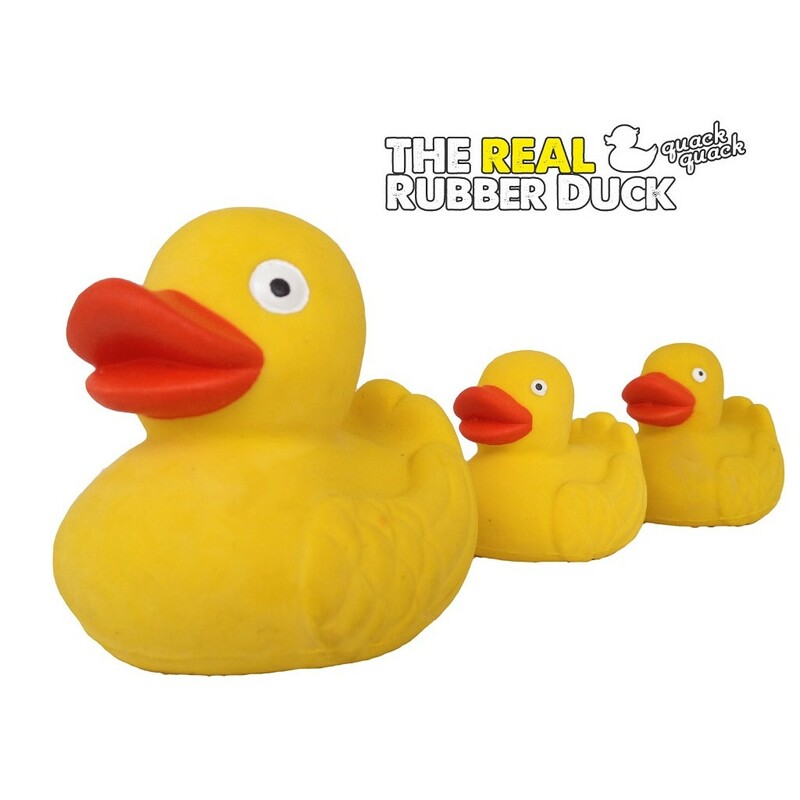 The REAL rubber duck is made from 100% natural rubber with no PVC or plastic. No hole so you don't get that yucky grime stuff squirting out. This is the duck you have been waiting for!